As part of Falmouth School’s Festival of Sport Day, over 100 students from years 7, 9 and 10 took on a challenge to raise money for the One Foundation. One billion people in the world don’t have access to clean drinking water and two million people die as a result of water related illnesses. The One Foundation work to provide everyone in the world with access to clean, safe water forever by providing sustainable water projects to some of the world’s most vulnerable people. The challenge set was for students to walk 1.5 miles of the Falmouth Cricket Club perimeter, carrying empty canisters. Students would then collect water and walk the 1.5 miles back in the opposite direction with full canisters to replicate the journey many young children make to collect clean water every day before they start school. 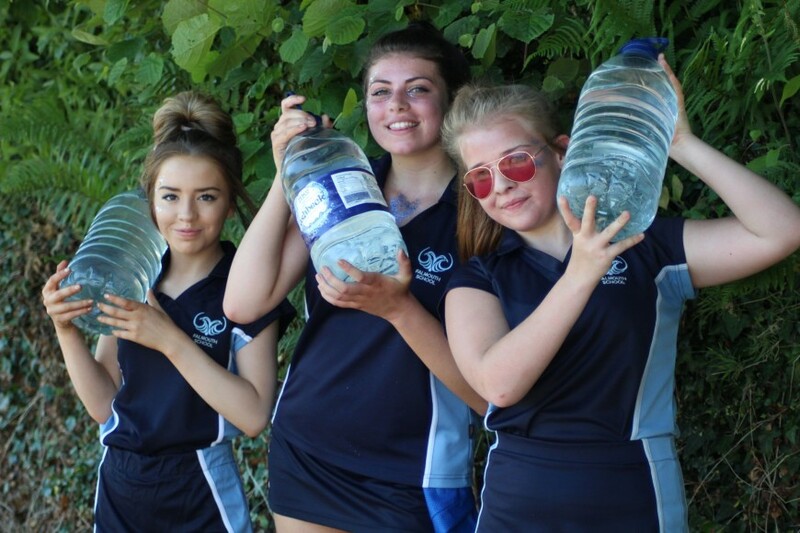 It was a very hot day and it proved to be a real challenge for many, however students persevered as they knew they were raising funds for a vital charity and that many children have to face far worse challenges every day. Students collected sponsorship money from friends and family and in total Falmouth School raised a fantastic £614 which will be presented to the One Foundation.